Three people were stabbed when they tried to confront a group of uninvited guests at a large party in City Heights, police said Sunday. The suspects all were able to escape the scene. 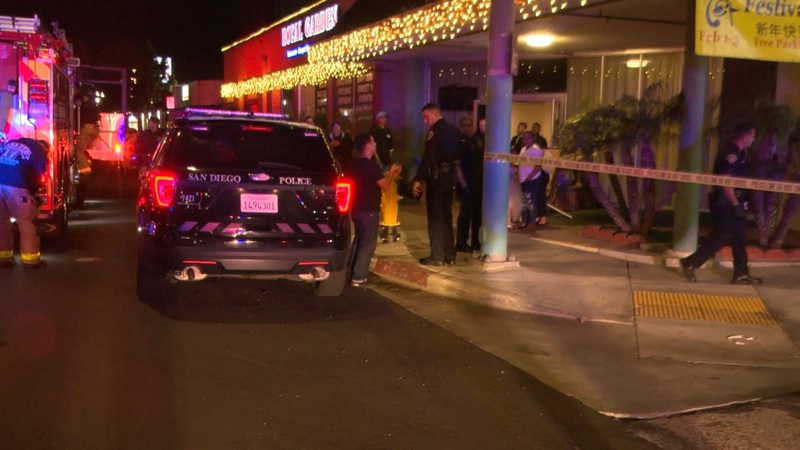 Police were told the group showed up to the party, which was taking place at an event venue near the corner of 42nd Street and El Cajon Boulevard, and began verbally harassing female partygoers, according to San Diego Police Sgt. Michael Tansey. When other attendees approached the group, a fight ensued. A 16-year-old boy was hit in the mouth with an unknown weapon before one or more of the party crashers stabbed three of their confronters, Tansey said. Authorities were called to the party at 11:45 p.m. Saturday. The victims, aged 18, 22 and 25, had non-life-threatening injuries and were treated at a nearby hospital, according to Tansey. They were unable to describe the suspects or tell police how many there were. After the stabbings, the assailants left the party on foot, Tansey said. Another party attendee tried to follow them in a car, and one of the suspects pulled out a gun and fired several rounds at the vehicle, striking it. Police weren’t able to find the person who was shot at. Gang detectives were investigating the incident.